Want to Learn Some Basic Fund Accounting Concepts? Are the Accounting Books You Have Been Reading Just Confusing You Even More? Whether your accounting system is computer-based or paper, knowing the principles of basic fund accounting is essential. 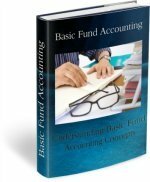 ...the following ebook "Basic Fund Accounting" can give you the knowledge to perform your accounting duties with confidence. Many church treasurers or financial secretaries are appointed because they are organized, and/or dependable or just because they have a heart to work for God. Suddenly they are thrown into unfamiliar territory with no road map. They buy basic accounting books and now are more confused than ever. That is because most accounting books are geared toward profit-oriented businesses and churches/nonprofits use a different accounting system. Note: These ebooks are written mainly for churches; however, many of the same basic fund accounting principles apply to small nonprofit organizations as well. I have stated if any of the accounting concepts in the books apply to church's only. For simplicity sake, I refer to churches and their staff. "I am a high school business teacher and have been approached by a church secretary to help her with a few accounting issues that she is having at her church. I teach beginning and advance accounting and realized that double entry accounting is quite different from church accounting. I purchased your book and downloaded your spreadsheets. 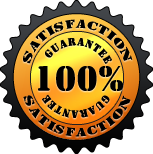 They are wonderful and accurate reading from the accounting point of view." Save 10% on all Accounting Packages! Type FCA in the DISCOUNT box found at the bottom of your shopping cart and click GO! I bought office supplies and a filing cabinet at the office supply store with the church's credit card. How do I record this transaction? My church borrowed money for a new church sign. How do I record the complete transaction? I made an error in recording a church business transaction in our church account and did not discover it until a month later. How do I correct this error? I need to transfer funds from one fund to another. Is this legal? How would I record it? "Basic Fund Accounting" explains exactly what debits and credits are and gives examples on how to enter everyday church business transactions and correct errors in your church accounts. "As you mention, church accounting is different. I am an Accountant by trade and I find all the information you provide, with regards to handling the books of the church, very very useful. So, thanks again!" "Thanks Vickey! 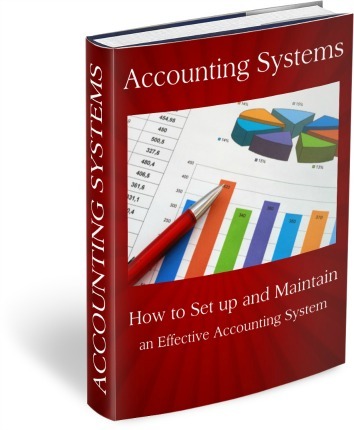 I purchased your Basic Fund Accounting book and Accounting Systems and found them helpful. I'm taking over as treasurer for our church and was new to church accounting. Your books were helpful in getting my feet grounded in fund accounting." The ebooks are in a PDF format so you will be able to read it on a Windows PC, an Apple Mac, an iPad, tablet, or some smart phones using Adobe Acrobat Reader software which you can download here or in your app store for free. This eBook package comes with a No-Questions-Asked-90 Day Guarantee: If you're not satisfied with these eBooks, just contact me. within 30 days of your date of purchase - and I'll issue your 100% refund ASAP. Thanks Vickey. Cool stuff. I just finished reading 'Basic Fund Accounting' and it is great for the unskilled. Our small church is suffering under the burden of a robust church accounting package. I'm assisting the Fin. committee (I'm a former CPA and Systems Implementation consultant - now in Seminary pursuing ministry for a second career). As you know, for volunteers who aren't accounting oriented such a robust system can drown them. I'm a big fan of simple, especially with small operations. Was this ebook helpful? Would you recommend it to a friend? Could you take a few minutes and give your opinion of this book? Enter the Your Title of Your Opinion -Such as "Good Book", "Would Recommend", or "Would Not Recommend"
See What Other People Are Saying About This Book! Thanks for the free budget for church, lots of help. Based on the information it will be very helpful in our church finances. Well written and informative even for someone with for-profit accounting experience. This ebook was really helpful and I would definitely recommend it to other users. I higly recommend these books. They are a necessity, WRITTEN IN PLAIN ENGLISH!